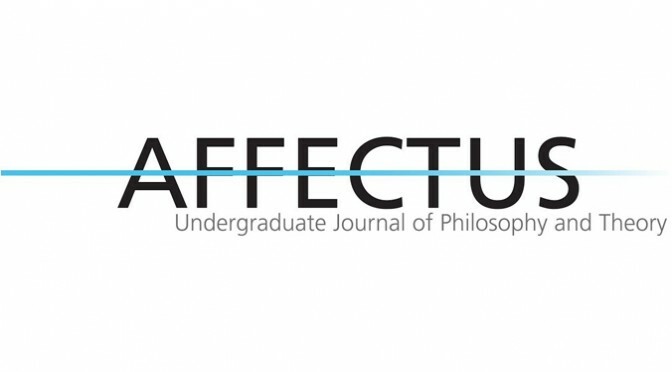 AFFECTUS: Undergraduate Journal of Philosophy and Theory is currently accepting submissions for its third issue. We welcome theoretical and philosophical papers across the disciplines with special attention to papers in the following areas: Women’s and Gender studies, queer theory, postcolonial studies, feminist philosophy, and 19th and 20th century continental philosophy. 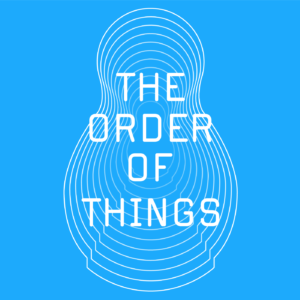 We may also consider publishing reviews, interviews, and creative work with theoretical import. Submissions must be received by 12:00 AM (MST)Tuesday, January 6th, 2015. A cover letter with the author’s contact information (name, e-mail, and institutional affiliation) submission word count, and at least five key words outlining the themes of the paper. Submissions should not exceed 8,000 words. We will accept a maximum of two submissions per author. Submissions should be accompanied by an abstract between 100-500 words. Because submissions are reviewed anonymously, names, e-mails, and institutional affiliations should be stated on a separate cover sheet and omitted from the submission itself (including footnotes, headers, etc.). All submissions should be double-spaced and cited in Chicago Style (Notes & Bibliography). Books reviewed should be published within the last 18 months. Reviews should be no less than 1,500 words. For information regarding interviews, please contact the Editor-In-Chief with a proposal. Each submission will undergo an anonymous review process by a minimum of two reviewers. Authors will receive a notification of their submission within 48hrs of receipt. If you have not been contacted within this time, please send a follow up e-mail. Notification of publication or rejection will be sent out mid-February, 2015.